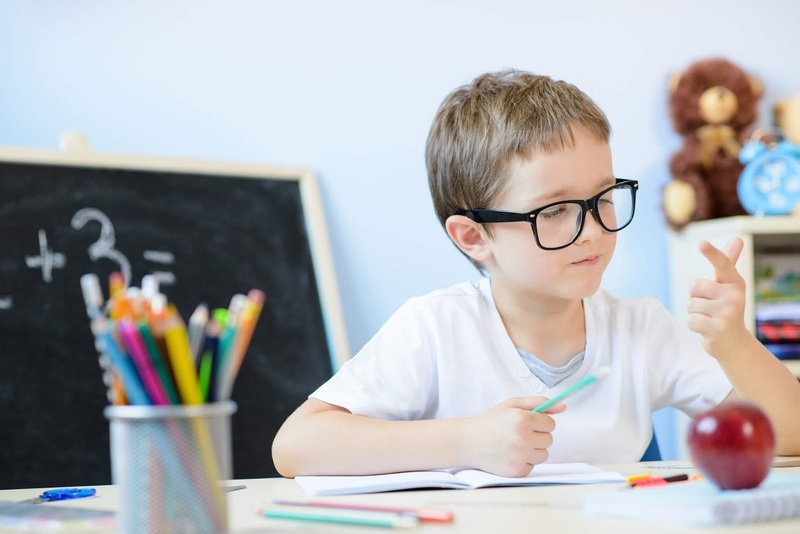 Give these strategies a try to make math — even math homework — enjoyable for your child. Though you might also prefer sitting down to read a book with your child over tackling math homework, it's helpful to create a good attitude about math — so that any negative feelings about the subject don't linger over time. 1. Stay Positive: Get excited about math homework and keep a positive mindset (even if you have to pretend). Try to avoid making comments like “I’m not good at math” or “This is so easy." Little ears hear everything! Hearing a negative sentiment may influence your child’s own thinking, or make him feel inadequate or nervous about doing math. 2. Celebrate Mistakes: Mistakes are good. We simply can’t learn without them, especially in math. The more your child can learn to embrace her mistakes, the less scary math problems become. Encourage her to take risks in math and not be afraid to make mistakes. If she has an incorrect answer on her homework, don't tell her which problem is wrong — instead, encourage her to find the incorrect problem and fix it. 3. Play Math Games: Find math games that are fun and exciting for your child. Set a goal to play four or five math games a week. Your child can even make up or change the rules however he wants. Teach him that math isn’t rigid. Cards and dice are terrific flexible tools for playing math games. Carry them in your purse or in the car so you can play at any time. Here are math dice games for kids aged 3-7 and for kids aged 8-13. 5. Create a Math Toolkit: Math can be very abstract, which is overwhelming for a young child. Creating a math toolkit at home can help relieve some of the pressure of not knowing where to begin or how to solve a problem. Giving your child tools will help him see math more concretely and therefore feel better about his learning. Encourage him to use his “tools” before asking for your help. Some great tools are a ruler, 100 hundred charts, number lines, graph paper, cards, and counters.